UK Foreign Secretary Philip Hammond said the UK stood in "solidarity" with Japan as they face the "appalling" threat from the Islamic State (IS, formerly ISIS/ISIL), which threatens to kill two Japanese nationals unless the government pays $200 million. Hammond met Japanese Foreign Minister Fumio Kishida at the Foreign and Commonwealth Office. He and Defence Secretary Michael Fallon hosted the first formal meeting between Japan and Britain on foreign and defense issues. 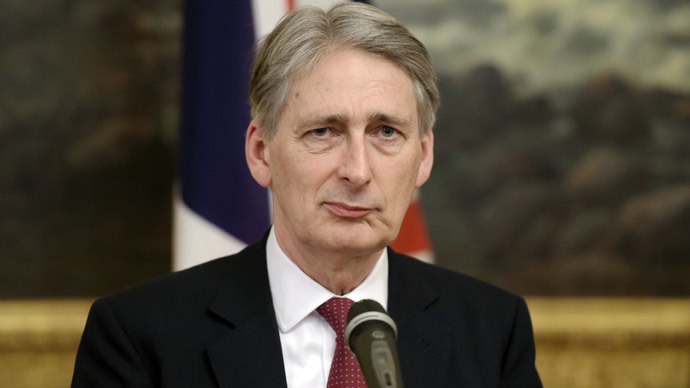 Welcoming his counterpart, Hammond said: "We will of course be talking about the challenge of dealing with ISIL and we will want to discuss in detail the hostage crisis. "Allow me to express our solidarity with the Japanese people as they face this appalling threat from ISIL." On Tuesday, the Islamic State released a video showing a knife-wielding militant, believed to be ‘Jihadi John’, standing in between two Japanese hostages. The militant said IS demands $200 million (£132 million) within 72 hours for the release of the two hostages. This comes after the Japanese Prime Minister Shinzo Abe offered £200 million in humanitarian aid to countries affected by the militant group. Abe has since vowed to save the two men, 47-year-old Kenji Goto and 42-year-old Haruna Yukawa, but it is expected that the only solutions Abe has are to either pay the ransom, or to ask an ally to attempt a rescue mission to free the hostages. Abe has reportedly sent his deputy foreign minister, Yasuhide Nakayama, to Jordan to seek the country's support in finding a solution. Although Hammond pledged “solidarity” to the Japanese people, the UK has repeatedly insisted on its strict policy of paying no ransom for its citizens. IS killed British hostages, Alan Henning and David Haines, in two separate executions. The grisly videos were released last year. US and British officials have said they believe they know the identity of ‘Jihadi John’, who is thought to be a British citizen because of his accent, but they haven’t disclosed it publicly. During the UK-Japan talks Kishida said: "Japan resolutely condemns deplorable acts of terrorism which we are seeing in the hostage situation by ISIL and also the shooting incident in Paris." "Japan and the United Kingdom can co-operate together to fight against terrorism,” he said. "Japan and the United Kingdom, both of which have greatly contributed to the peace and prosperity of the world, must and can co-operate together to tackle the challenges that the international community faces together."